ladybug wrote: Russ that is a train ride i would love to take. Beautiful photo. Judy, it was an hour long ride and very interesting. I'll try to find another picture (of the train) to share with the group. Last edited by Russinator on Tue Jul 03, 2012 4:24 pm, edited 1 time in total. In these photos we were half way through our train ride. 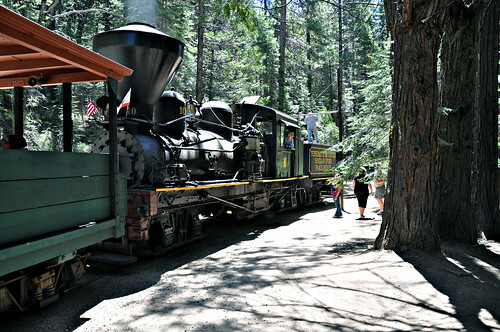 We had to stop and refill it's water tank - it was a steam engine. To see the photo larger (a much better image) open the link below. If you open the link below and the picture is too large for your screen you can click on one of the smaller links located just above the picture to the left of center. Russ i am enjoying the ride with you --beautiful. Rusty wrote: Linda, thank you for pointed to the gallery. I thoroughly enjoyed every single image. You did a great (and I'll bet time consuming) job of selecting and processing. I'll say, It took me from Oct to Easter to get them all processed into a slide show for my impatient nieces who thought I should've had them ready for Christmas. 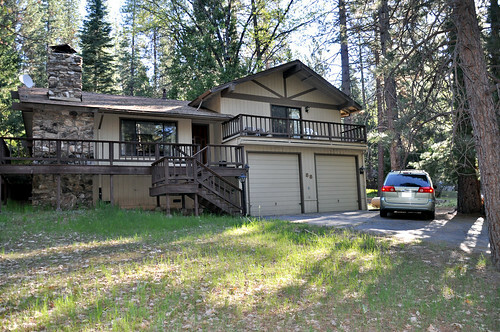 This is the "mountain cabin" that my DW and DD rented for our stay in Yosemite. 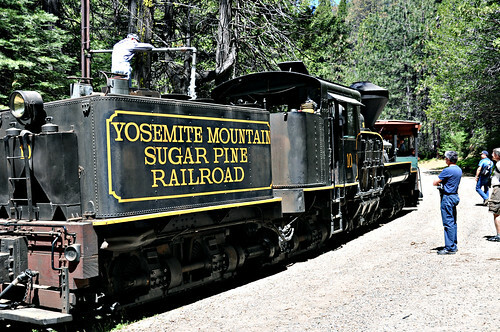 It was in Yosemite National Park and just up the street from the history center where my DW's cousin works.